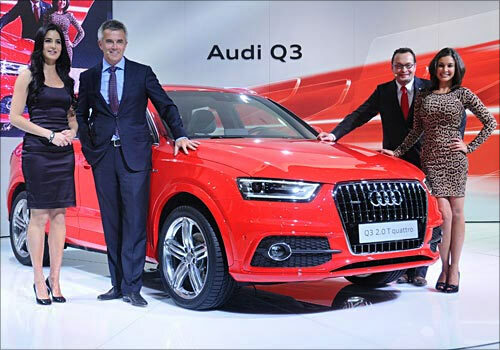 Audi, the German luxury car manufacturer, showcased an exciting display of cars at the 11th Auto Expo in New Delhi. To celebrate its success in the Indian luxury car market and its fifth year in the country, the Audi stand displayed the compact SUV - Audi Q3, the new futuristic A3 e-tron concept, the sporty Audi S6 limousine, the most powerful diesel SUV - Audi Q7 V12 and some highlights from the existing Audi India product range. The luxury carmaker also demonstrated three technology pillars: Audi e-tron, Audi ultra and Audi connect which redefine mobility and will be the drivers of urban mobility solutions of the future. The Audi range was presented by Peter Schwarzenbauer, Member of the Board of Management of AUDI AG for Marketing and Sales, and Michael Perschke, Head, Audi India. Image: Katrina Kaif unveils the Audi Q3. "India is a key strategic market for Audi and we are making a clear long-term statement in the country with ambitious expansion plans. Audi has seen phenomenal growth since its inception in India five years ago and today is the fastest expanding premium brand in the market," said Peter Schwarzenbauer, Member of the Board of Management of AUDI AG for Marketing and Sales. "Now we are starting the next chapter of our success story: As a true premium SUV, the Audi Q3 leads the way for the Four Rings to enter a new segment in India, with ever increasing customer groups demanding for premium mobility in a compact form," he said. "For four consecutive years, we have successfully exceeded our projected sales targets and have been able to carve a niche for ourselves in the Indian luxury car segment. We attribute this growth to our continued focus on introducing an energetic product line, qualitative network growth and strong brand presence," said Michael Perschke, Head, Audi India. "I am confident that we will continue on this growth trajectory and firmly believe that events like the Auto Expo help in generating the right buzz in the market", he added. The International Audi Stand concept gives auto enthusiasts an opportunity to experience some highlights from the Audi product range available in India together with the Audi Q3, Audi A3 e-tron concept, Audi S6 and Audi Q7 V12. 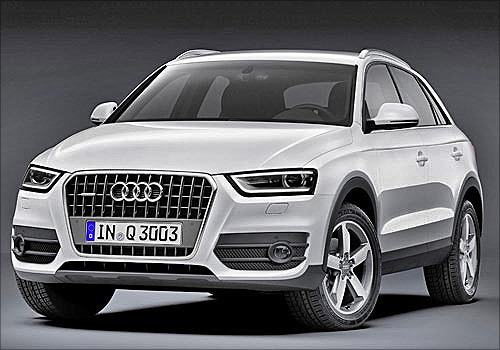 The Audi Q3 is a true premium SUV in a compact form. It is sporty and efficient as well as versatile and trendy. The design of the Q3 is classic Audi: its coupe-like styling is one-of-a-kind among SUVs and symbolizes its sporty identity. The Q3 showcases Audi's expertise in all aspects of engineering: from its lightweight body through strong and efficient drivetrains and a dynamic chassis to its state-of-the-art assistance systems and multimedia systems. The Audi A3 e-tron concept is an attractive technical study. The four-seat notchback sedan integrates the full breadth of Audi's technological expertise – from the enhanced MMI operating system, to the high-end infotainment system, to the drivetrain. Image: Katrina Kaif with the Audi Q5. Here's a hot piece of news which tells us that Skoda Octavia is finally tracing its steps back to Indian car market. Image: Skoda Octavia RS 2000. 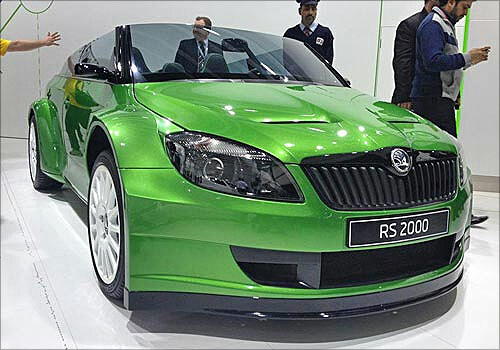 However, there is a small twist here as Skoda is just relaying this information at the Auto Expo that the Skoda Octavia will be the new generation Skoda Laura known as A7 this time but not until 2013. 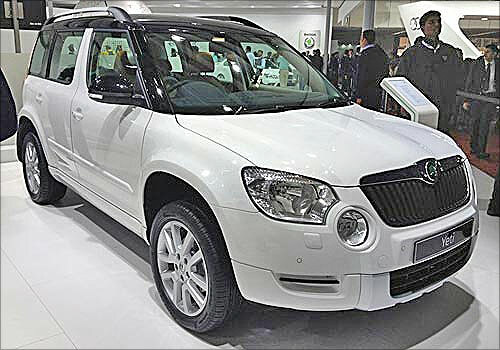 Skoda India also displayed the special edition of Yeti crossover and also showcased the RS 2000 concept just few moments ago at the Delhi Auto Expo 2012 today. Here are the latest images of Yeti special edition and RS 2000 concept. 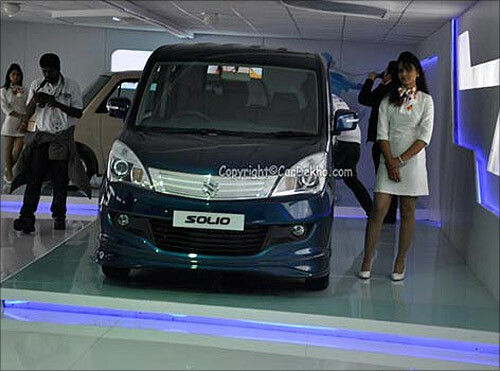 Maruti Suzuki displayed the frugal kie cars at the Delhi Auto Expo 2012 along with Ertiga and XA Alpha SUV concept, the CarDekho team brings you the exclusive images of the Suzuki Solio and Palette hatchbacks. These cars were earlier rumoured to come to India, but the company right now has no plans to bring the kie cars to India, these are just displayed to get the public opinion. While domestic auto giants' were until now weighing the options to make a foray into electric car segment, M&M has already garnered ages of presence in the electric car division. 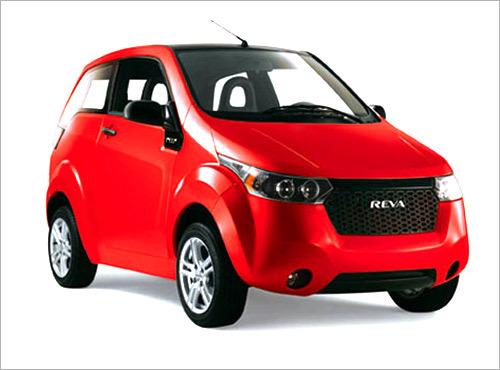 Ever since its acquisition of the electric car manufacturer Reva electric, the auto major has been conducting experiments with its all-electric cars. Today fater a huge uproar among the consumers, Mahindra proudly announces another car, the Reva NXR to boast its undeterred expertise in the field. The new Mahindra Reva NXR steers way all the drawbacks from the Revai with some increased performance and mind-blowing mileage of 160 km per single battery charge which translates to Rs 3 for every 9.60 km of travel. With the help of the li-ion battery the car zooms at a high speed of 80 kmph. With the growing demand for fuel efficient cars especially in the Indian car market, pricing will be the deciding factor where Mahindra has not gone wrong anywhere until now and let's hope the Mahindra Reva NXR price is just as perfect too. 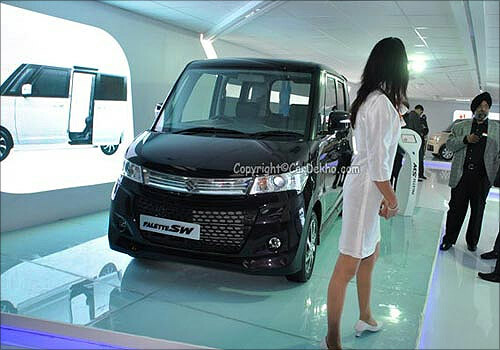 Maruti India had literally stunned the ecstatic crowd yesterday with the Maruti XA Aplha compact SUV and here comes the India's first compact MPV Maruti Ertiga MPV with its all superfluous presence in front of the crowd. The grandeur of the MPV cannot be captured in words and is a pure luxury to watch the MPV standing erect in front of the masses. Ertiga will have 3 row seats spacious enough to accommodate 7 people comfortably(2+3+2). Maruti India is set to make its presence known in the utility vehicle segment and Maruti Ertiga MPV and the XA Alpha concept are the clear examples. Coming to the Ertiga, the MPV is a seven-seater with both petrol and diesel options to drive the car. The MPV will be come in both petrol and diesel trims,the petrol variant will come powered with a K-14, 1.4 L , petrol engine delivering 70KW power @6000 rpm and a peak torque of 130Nm @4000 rpm, while the diesel variant will come affixed with a 1.3 liter diesel engine, churning out maximum power of 66KW@4000 rpm and 200Nm torque @1750 rpm. Ertiga MPV diesel variant is claimed to offer a whopping mileage of 20.77 kmpl while the petrol variant is likely to deliver a decent mileage of 16.02 kmpl. 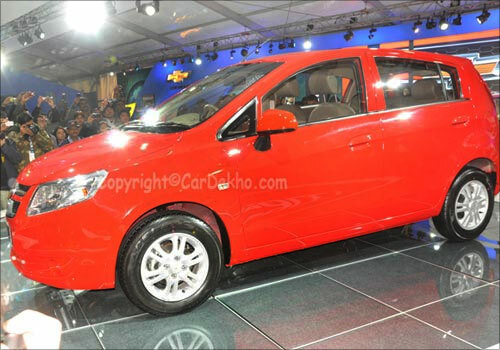 The MPV will don safety features like dual airbag and ABS. 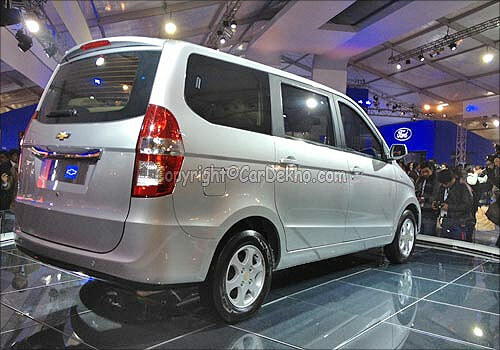 Comfort features like twin AC, tilt steering will also be present in the compact MPV. 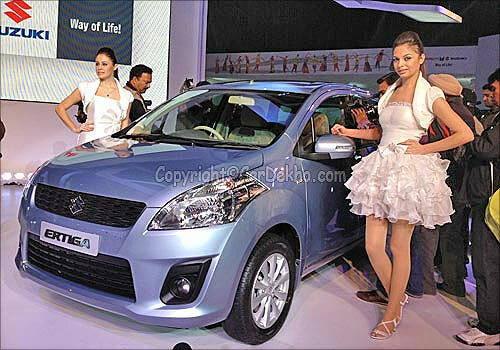 Ertiga MPV is expected to be launched either by the end of March or beginning of June. Built on the Maruti Ritz platform it's nothing less than a delight to drive the car whose platform is that of a car, but otherwise is an out and out MPV. Although it would be interesting to see how Maruti India comes up with the Maruti Ertiga price which is ideally meant to rival Toyota Innova and Mahindra Xylo MPV in the market. Force One SUV fans watch out the space now. 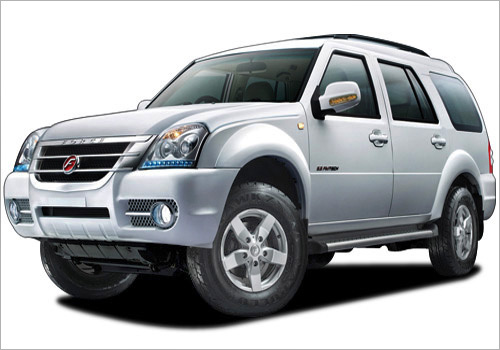 Force Motors, who is popularly known as a commercial vehicle manufacturer is bound to delve the depths in the passenger car segment. Force One SUV 4x4 variant is introduced today powered by the same Daimler AG sourced 2.2 L diesel powertrain to pump out 140 Bhp and 315 Nm peak power and torque like always rich in features with all three rows A/C, front safety-guard, but the absence of ABS is a little disappointing. Renault has just delivered an amazing performance with the Renault DeZir concept and Renault Pulse launch apart from unveiling the Renault Duster SUV. 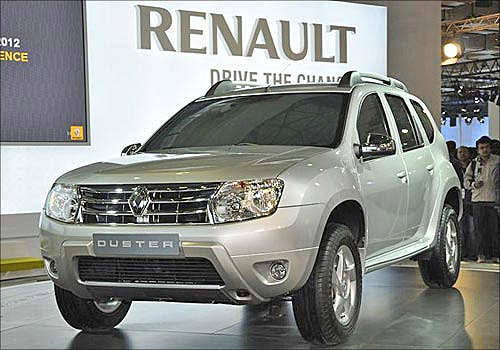 Renault India on an overall is growing at a remarkable pace where Renault Duster is destined to be fourth product from the auto major during the mere presence of a year since its comeback after breaking up with Mahindra. 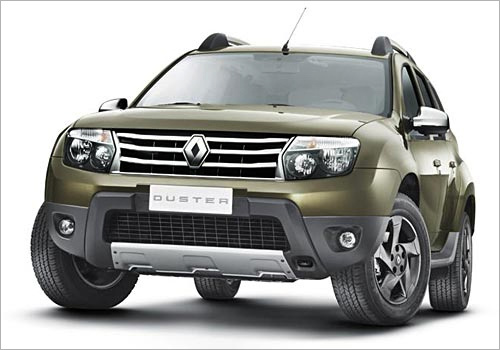 Moreover, Renault India is determined to localize the production from here on which has already marked the beginning with the Renault Pulse and Renault Duster SUV at its Oragadam plant near Chennai. Sudhir Rao who has quit as Renault India's COO had earlier spoken on behalf of Renault India to express their intentions to tap the entry-level car market which is the core of the Indian car Industry. 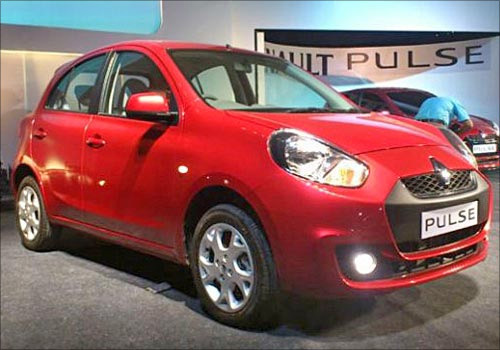 A low-cost car with Nissan and Bajaj was also a step in that direction. 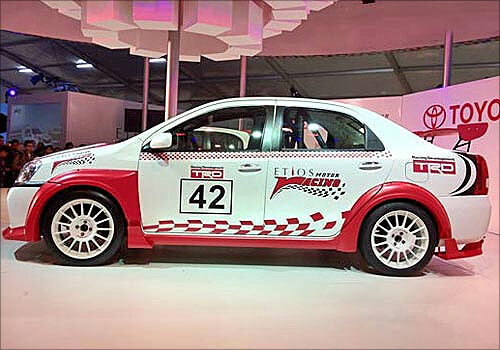 Toyota Kirloskar Motor (TKM) unveiled the concept cars of its upcoming Etios Motor Racing Trophy, one make racing series. Continuing the Company's global legacy of motorsports, the racing tourney will be supported by one of the most accomplished and acclaimed companies in motorsport history – TRD (Toyota Racing Development), the corporate brand from the Toyota affiliate, Toyota Technocraft Co. Ltd. This new venture from Toyota comes close on the heels of the very successful launches of the Etios, Etios Liva and their diesel versions, all introduced in over a span of a year. The Etios brand was introduced in the mass segment with a youthful vibe, and the motorsport venture is an extension of the new image that Toyota is creating in India. 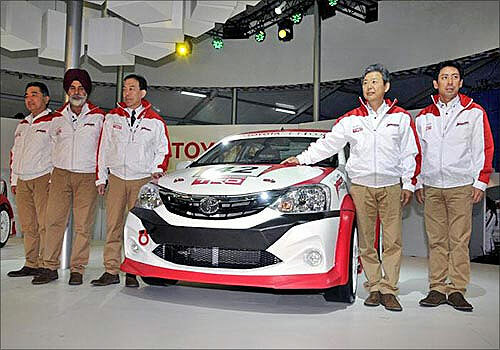 Toyota's foray into motorsport in the country also comes at a time when the popularity of the sport is gaining momentum, more so after the resounding success of the first ever Indian F1 race in October last year. 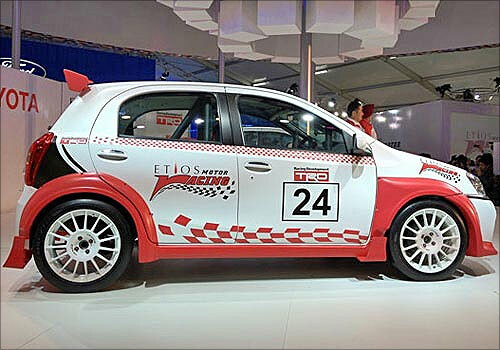 Image: Etios Motor Racing Trophy. The EMR Trophy series that is slated to be held in the second half of 2013 will be based on a one-make racing championship platform, comprising of 5-6 individual race events, and will race the Etios Sedan Petrol in the first season. The cars will be FIA qualified with racing parts supplied by TRD, and their technical expertise will be utilized throughout the series. Toyota will also partner and work closely with Indian motorsport experts such as Red Rooster Racing (International) based in Bangalore to better understand the needs of the sport and work towards popularizing it. The Etios racing platform will help talented young racers develop their skills, and further train them to gain a competitive edge for their future in motorsports. They will be mentored by experts in the field, and will be given an opportunity to compete among the best in the country. This series will not only highlight the technological prowess of the manufacturer, but also the endurance levels of the Etios and the 'fun to drive' aspect of the vehicle. The unveiling of the racing concept cars is only the beginning of the excitement that the EMR project has in store during the run up to the series the following year. In its effort to take motorsports closer to its customers and the youth of the country, the EMR concept cars will be touring 13 cities and 22 TKM dealerships across the country. Every weekend for four months, starting the 28th of this month in Chandigarh, motorsport enthusiasts will be given an opportunity not only to touch and feel the Etios in its racing avatar but also engage in a plethora of racing activities. In addition to which, the TRD powered Etios cars will be featured in mega road shows and exhibition races planned in the second half of this year for a never before motorsport experience. General Motors India unveiled the first two products from its joint venture with SAIC, the Chevrolet Sail premium hatchback and the Chevrolet MPV Concept, at the 11th Auto Expo in New Delhi. "The introduction of the Sail hatchback and MPV Concept demonstrates our commitment to take advantage of the global resources of GM and our partners inIndia for India," said Lowell Paddock, President and Managing Director of General Motors India. The two products have been tailored for local market conditions and the need of local consumers for economical, user-friendly personal transportation. 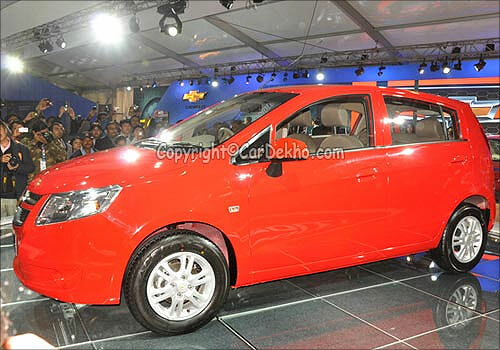 Paddock said, "The Chevrolet Sail hatchback will be a strong addition to GM's mini-car portfolio in India. It will bring a new sense of vitality to the biggest, fastest-growing and most competitive segment in the domestic passenger car market." The Sail hatchback, which will go on sale later this year, is built for the world's emerging markets. Engineers at the GM Technical Center – India in Bangalore spent the past year and a half engineering the platform for India to ensure that the Sail hatchback and other vehicles built on the platform will meet the requirements of the Indian market and Indian car buyers. The Sail hatchback's exterior and interior design exudes Chevrolet's sporty styling. The front view features Chevrolet's signature styling cues, including a dual-port grille adorned with a gold bowtie. The hood features muscular cut-lines that provide a three-dimensional look. From the side, the unique waistline gives the Sail hatchback a dynamic stance. Its body proportions offer a perfect ratio of a long front and short rear, with a lower stance in front that moves upward to a higher stance in back. The interior of the Sail hatchback is spacious, airy and bright, with Chevrolet's dual-cockpit design. The sporty instrument panel with chrome-plated accents contains a radio, CD player and music Aux-in interface. As a family car, the Sail hatchback can seat up to five people in comfort. With its fuel tank placed in the middle of the car and short front and rear overhangs, the Sail hatchback maximizes interior space. Its high roof design offers ample headroom even for taller passengers. A series of well-thought-out storage spaces provides room for passengers to stow their belongings. The Sail hatchback will be powered by GM India's latest Smartech engines, which present an excellent combination of high power, high fuel efficiency and low emissions. 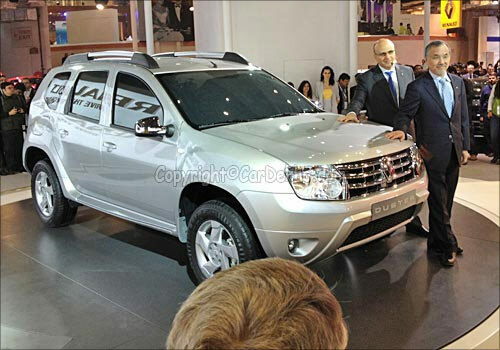 Both petrol and diesel engines will be offered. In line with Chevrolet's global focus on safety, the Sail hatchback features safety cage body construction supported by the extensive use of high-strength steel. The fuel tank is protected by steel beam-rolling ribs, ensuring the utmost safety for driver and passengers. "The Chevrolet MPV Concept is designed for those who want a spacious, comfortable and well-styled vehicle to enjoy life with their loved ones," said Paddock. 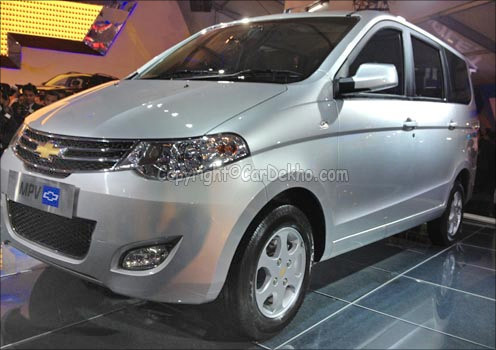 The multi-purpose vehicle, engineered for the MPV B segment in India, was developed for the world's emerging markets. It offers space for large families, with flexi-seating and a choice of seven or eight seats. British automaker Lotus worked with the GM Technical Center – India for more than a year and a half to tune the chassis. 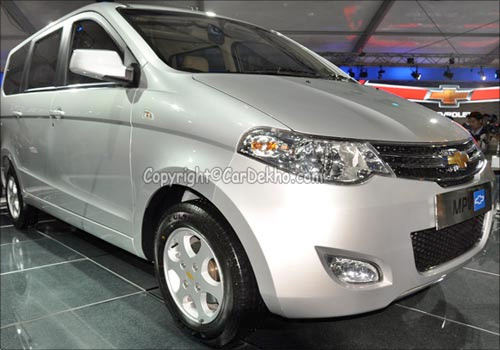 Safety was given paramount importance in the development of the MPV Concept. High-strength and ultra-high-strength steel are used in the body and chassis. Both the Sail hatchback and the MPV Concept will be tested on different terrains and in different climate conditions across India. 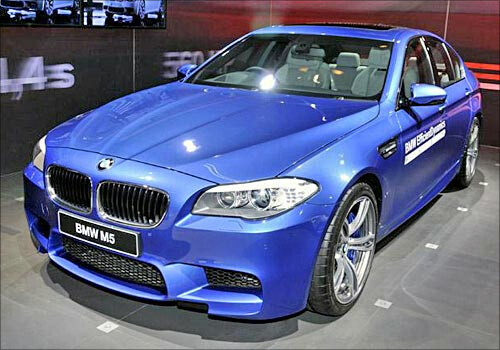 Today, at the Auto Expo 2012, the launch of BMW M5 was done with superb martial arts display as BMW M5 lays much emphasis on the performance. This stunning car carries a hefty price tag of Rs. 95.9 lakh. 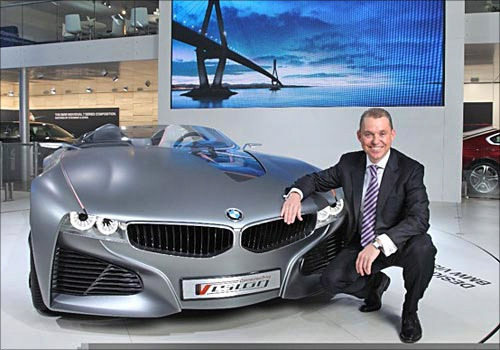 BMW triggered off its show with the introduction of its connected drive concept along with Roadster concept. The connected drive concept by BMW is the company's version of a car, which communicates to your Smartphone. In future, BMW is aiming to develop car to car communique that enhances the safety of the car and further averts collision. Besides this intelligent connected drive concept, the German auto major is not compromising with the driving gratification too. BMW also launched its much awaited Mini car range in India, which comprise of Mini Cooper hatchback for Rs. 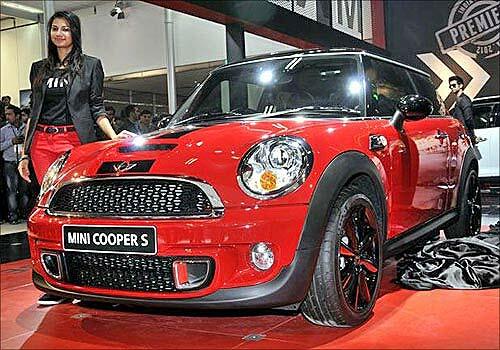 24.25 lakh, Mini Cooper S for Rs. 27.6 lakh and Mini Cooper Countryman and Mini Cooper Convertible for Rs. 29 lakh and Rs. 31 lakh respectively. Image: Intelligent connected drive concept. 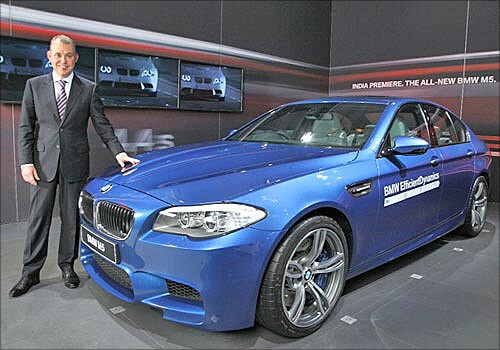 The BMW Group earlier had plans to bring in the BMW Mini to India by 2009, but delayed because of the market conditions. CarDekho.comoffers the best platform in India to research cars online. Make better car buying decisions using features like car research, reviews, car comparisons, discounts, on-road prices etc. on CarDekho.com. 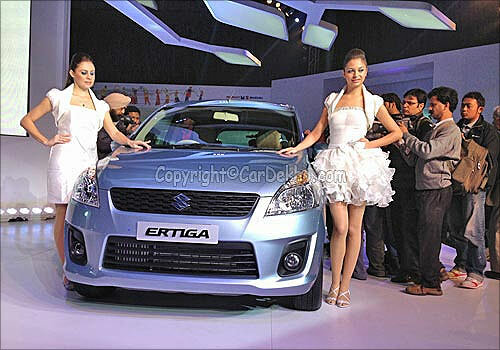 The SHOWSTOPPERS at the Delhi Auto Expo! The new Bajaj RE60: Don't call it a car! All about Avanti, India's first Rs 30-lakh supercar!